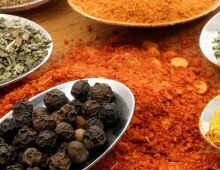 Today’s concerns over salt, sodium, cholesterol, saturated fat and sugar in food put added emphasis on spices. The CSA prides itself in being proactive and member-driven. Nature gives spices a remarkably protective cell structure. Our list of some of the most common spice terms. Providing the Canadian food industry with spices, seeds, herbs & extractives.